Humidity control was the problem that originally spurred the need for air conditioning. Lack of humidity control in hot, humid climates, in particular, can lead to mold growth and other moisture-related problems. High indoor humidities can lead to health and comfort problems. Modern air conditioners dehumidify as they cool; you can see that by the water that drains away, but this dehumidification is incidental to their main job of controlling temperature. 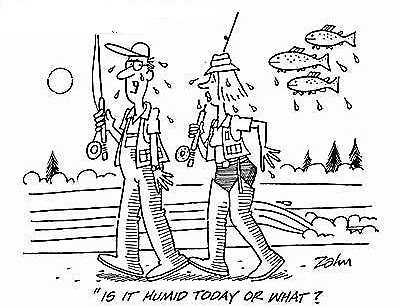 They cannot independently control both temperature and humidity. In hot, humid climates the incidental dehumidification that occurs may not always be enough to keep the indoor humidity conditions acceptable. (ASHRAE recommends roughly a 60% relative humidity maximum at 78F.) The maximum dehumidification happens not at the hot times of the year—when the air conditioner is running a lot—but at mild times of the year when the air conditioner runs very little. Although there are some leading edge air conditioning systems that promise to independently control humidity, conventional systems may not be able to sufficiently control the problem and can cause comfort or mold problems in certain situations. Some current high-end systems have enhanced dehumidification, but when the existing system cannot sufficiently dehumidify, it may be necessary to buy a stand-alone dehumidifier. Do not set your thermostat to the “fan on” position. In this position the fan blows air all the time whether your cooling system is running or not and one key impact is that a lot of the moisture your system just took out of the air, will be blown back into the house before it can drain way. Use exhaust fans during moisture-producing activities. Cooking, bathing, washing, and similar activities produce a lot of moisture inside the home. Exhaust that moisture directly outdoors using a fan. Similarly, avoid drying clothes indoors except with a clothes dryer that is exhausted directly outdoors.